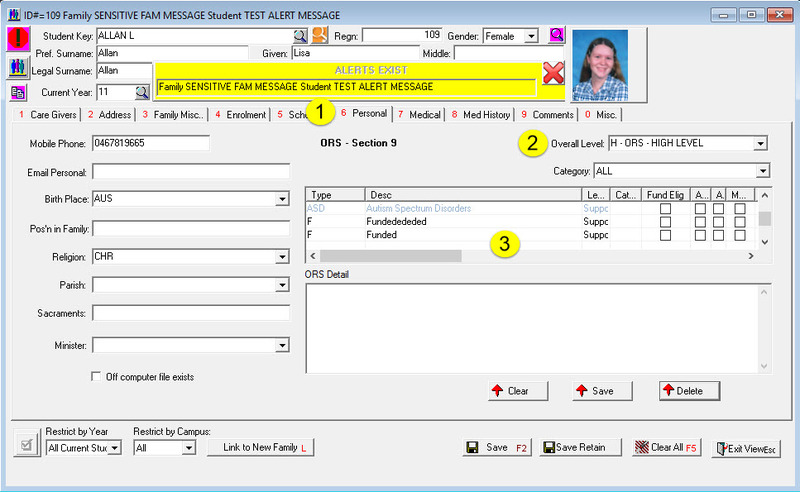 To create a Special Needs alert, you must be using an up-to-date version of Back Office. Go to Scholastic>Student View>Personal tab. The “Overall Level”, if set, will show within the alert bar as well as any ALERT type messages. These codes are pre-set for New Zealand funding requirements and cannot be changed. Select a blank line within the notes section. Change the detail of the message. This will appear to the teacher from the alert bar. When clicking on the Alert Bars, the special needs message will be displayed.